Paris at the end of April is like a beautiful woman with no expectations nor knowledge of her beauty. Lush and full of hope, the trees reach out with their fresh new leaves spreading their joy to create shade. Flowers are everywhere, the scent of Jasmine filling the senses. Tulips seem to be never-ending with colors so vibrant they glisten. The weather, on the other hand, is like a moody teenager, clouds rolling in at a moment’s notice saying to the sun, “Not yet!” and briefly wetting the landscape pushing people toward the ‘shade.’ But just as quickly, the sun cuts through and the landscape sparkles with freshness. 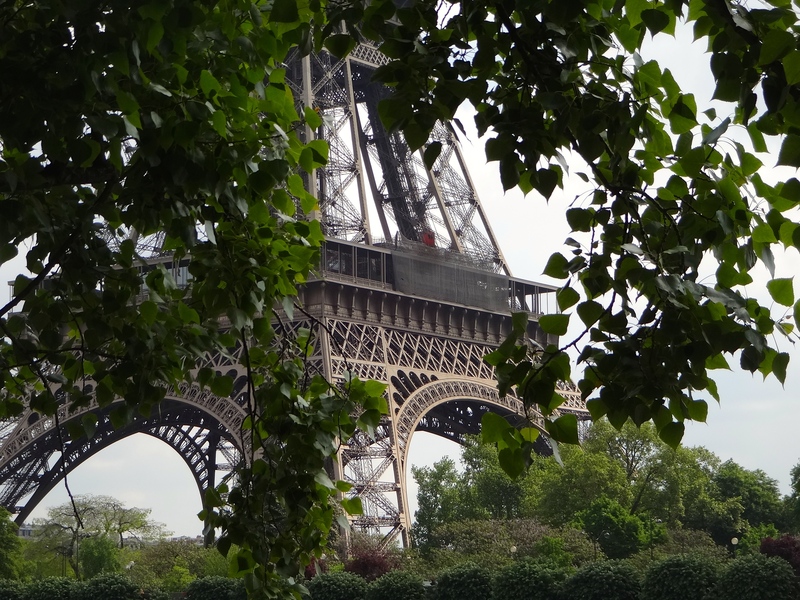 Mark trains in from Stuttgart for a brief 36-hour sojourn in Paris … only enough time to walk the Seine and get a sense of what one might discover in this ancient and beautiful city. Isabelle comes up from Montpelier and with Thom and Eric, the five of us meet for a last dinner. Tomorrow we all part, each heading in different directions. Thom and Eric leave the flat very early. We awake in time to see them off and wait for Alec to arrive and retrieve the keys before heading to the Metro and Gare du Nord for our EuroStar train to London. I had previously checked parisbytrain.com to get a visual layout of Gare du Nord to save time once we arrive. Even though I have been here a number of times, I know the EuroStar is boarded in another part of the station and we are short on time. I’m excited about going through the Chunnel, but as we leave the blue skies of France and enter the darkness, I ask myself what I expected? It’s rather like taking BART beneath the Bay, from San Francisco to Oakland, but with a travel time of a bit more than half an hour. As soon as we emerge into the rain and mist, I know we’re in England. We have about an hour to transfer from London’s St. Pancras station via the Underground to Paddington for the next leg of our train trip. We have a few delays, but finally make it with, oh, quite possibly three minutes to spare! We are traveling to Penzance on the First Great Western railway stopping frequently along the way. The trip takes about five hours and is memorable for the beautiful scenery, particularly as we get closer to the coast. 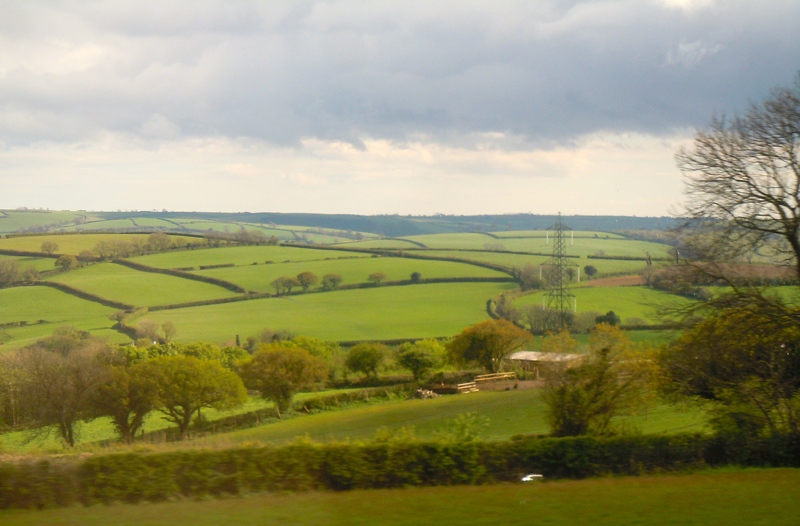 There’s nothing quite so beautiful as the English countryside, with its rolling hills and lush, light green fields crisscrossed with full, dark green hedgerows. Entering the small quaint villages with brick houses and church steeples pointing to the sky seems straight out of a Masterpiece Theatre BBC mystery. Narrow roads with carefully manicured bushes and trees keep the curious from seeing beyond. We arrive at our lovely three bedroom cottage at 33 Chapel Street that Mark reserved through Classic Cottages. It’s perfectly situated on the historic Chapel Street within easy walking distance of the town centre. 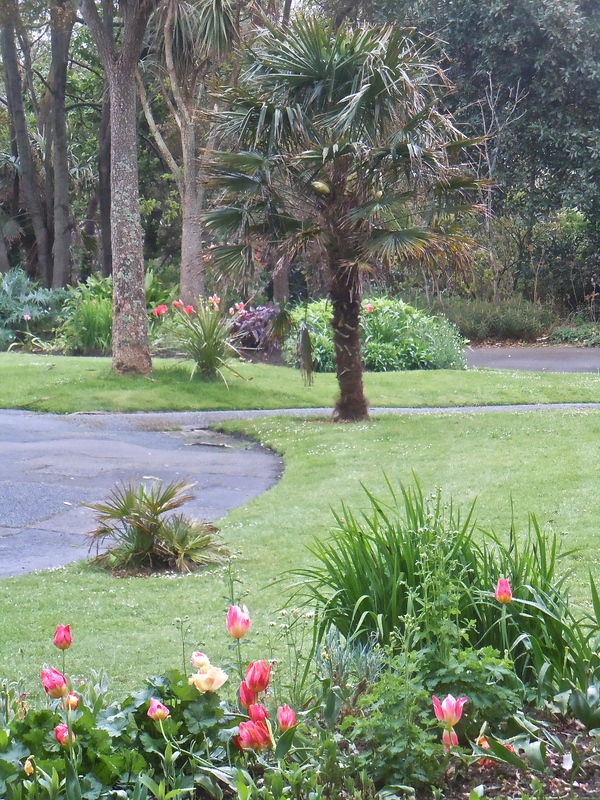 With a view of the bay and its very own private garden, we couldn’t be more pleased. Fresh tulips are on the dining room table, and in the kitchen, we find a tray complete with a bottle of wine, a fresh loaf of bread and scones. 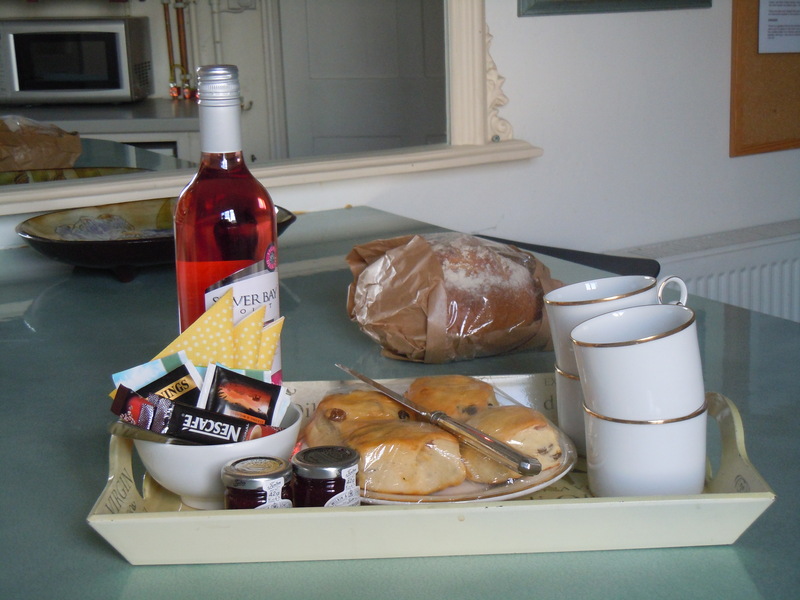 Tea and coffee are provided and in the refrigerator we find butter, milk and the incomparable Cornish Clotted Cream. The house is cozy and comfortable, but since it’s already nearly 8:00 p.m., we put our bags away and head out into the town to check out the neighborhood and have some dinner. We find a food cooperative at the top of the hill, many interesting shops closed due to the hour and several open and welcoming pubs. When did the English learn to cook? Now before you think I’m being a bit cocky here, my mother was English, so I’m pretty familiar with the cooking. We enter the Turk’s Head, a lovely, warm and lively pub with a back room of tables making up the restaurant. 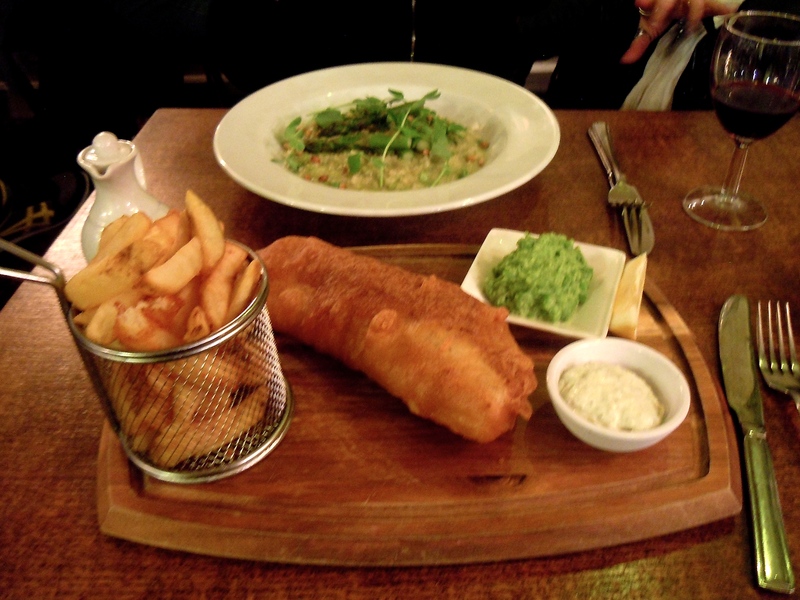 Mark orders Fish and Chips with mushy peas and I the Asparagus Risotto. The fish is freshly caught off the coast, deliciously battered and perfectly prepared. The mushy peas are creamy, smooth and a perfect companion. The Asparagus Risotto includes small slices of asparagus, English peas, a hint of mint and toasted pine nuts. The risotto is creamy and perfectly cooked with just the right amount of seasoning. Topped with two crunchy and tasteful asparagus and sprinkled with Parmesan, it just may be the best risotto I’ve ever tasted. We return to our home for this week and settle in for the night. On Saturday night, Mark and I attend a charity Art Auction at The Exchange to support the Cornwall Hospice Care. Over 100 pieces from local artists are being offered with a percentage of the proceeds donated to the charity. After champagne, hors d’oeuvres and music in the cafe, we take a seat with our personal auction numbers to see what we might take home. The auctioneer is hilarious. Forgetting his microphone cord and gavel, he chooses to “speak up,” and uses an ice cream scoop, banging it loudly on the podium to end each sale. His quirky method of engaging the audience, getting bidders to raise the price and forgetting where he is in the bidding process makes for a very entertaining and fun evening. Mark bids on several items and goes home with a beautiful, original signed watercolor. Penzance is a fishing village located along the southeast coast of Cornwall, tucked away in Mount’s Bay, which faces the English Channel. 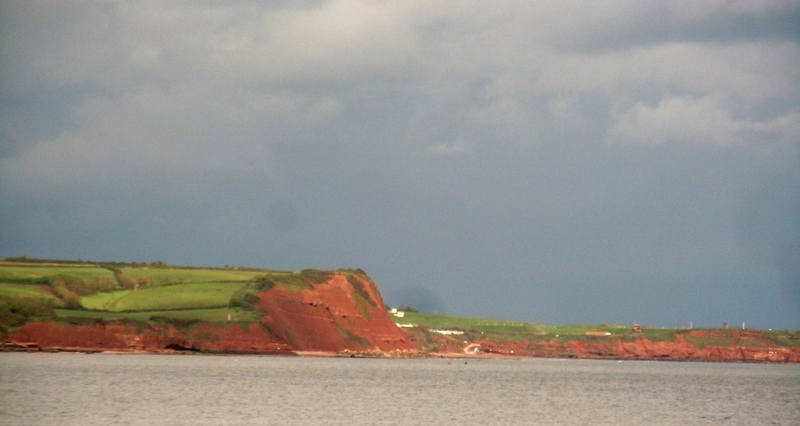 In early May, even though Cornwall is a temperate climate, the weather is cold and blustery. The rain has held off, but I feel like I’ve stepped into the land of Winnie the Pooh! 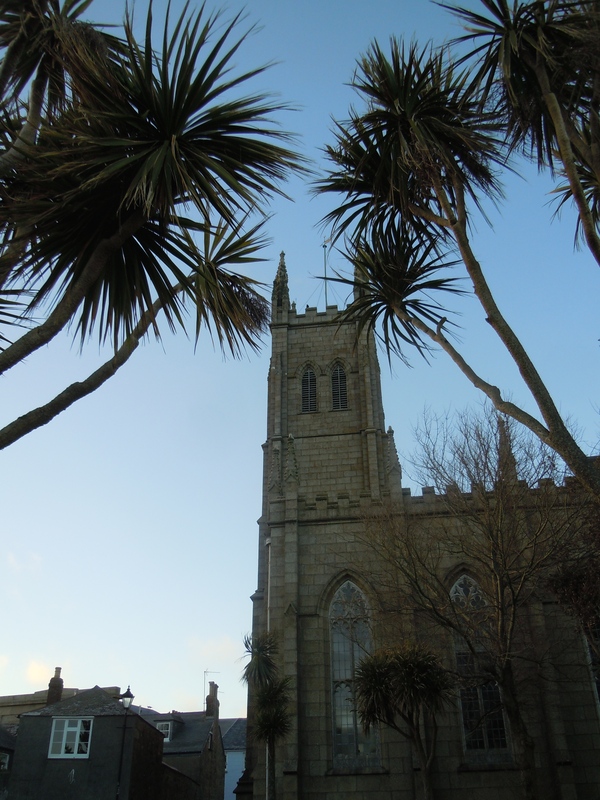 Despite the chill, Penzance is a lovely town. Possibly best known outside of the UK for the Gilbert and Sullivan comic opera, Pirates of Penzance. 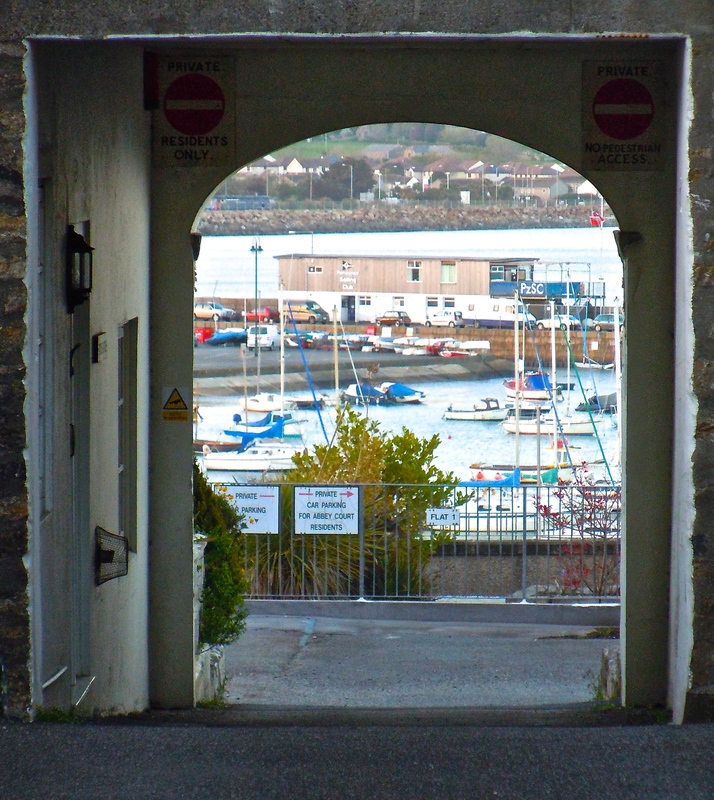 However, this seaside town has nothing to do with pirates, although we did see several references including the Penzance Sailing Club, which uses a skull and crossbones as its emblem. St. Mary’s, located across the street from our cottage, sits high above the town and can be seen from practically everywhere, making it very easy to find our way home. 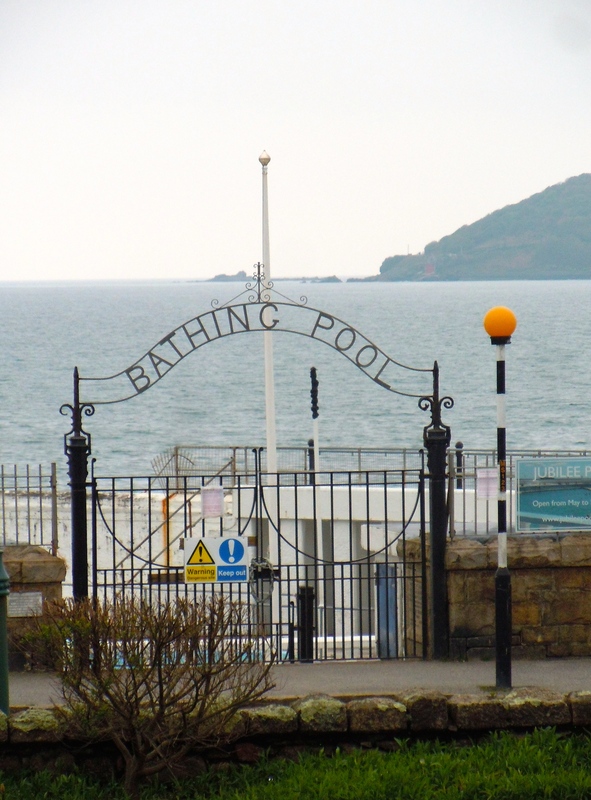 The Jubilee Pool, an Art Deco seawater lido built when Penzance was a prosperous seaside resort is closed. Located between the promenade and the harbor, it experienced extensive damage from the horrendous storms that battered many parts of the UK and Europe this winter. 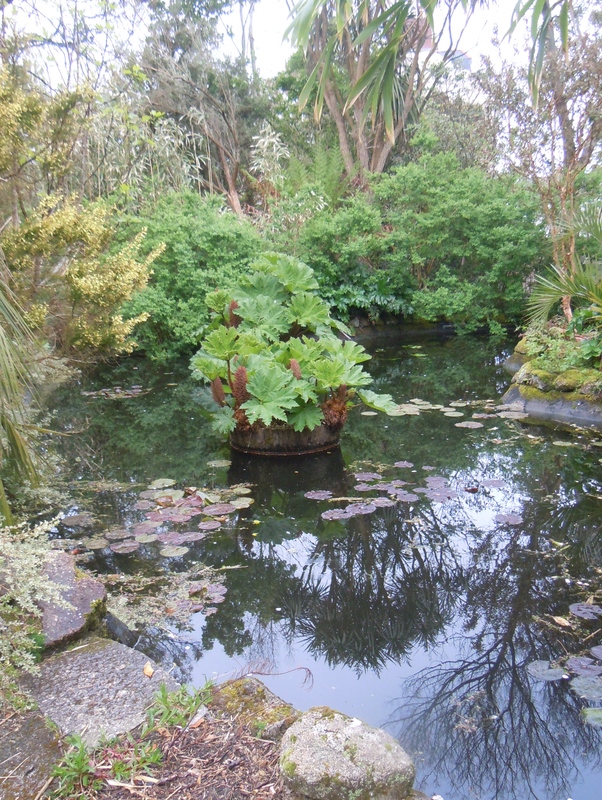 Nearby to our cottage we discover the Morrab Gardens, home to sub-tropical plants that you won’t find elsewhere in England. There are wonderful galleries, boutiques and museums that will keep us busy. 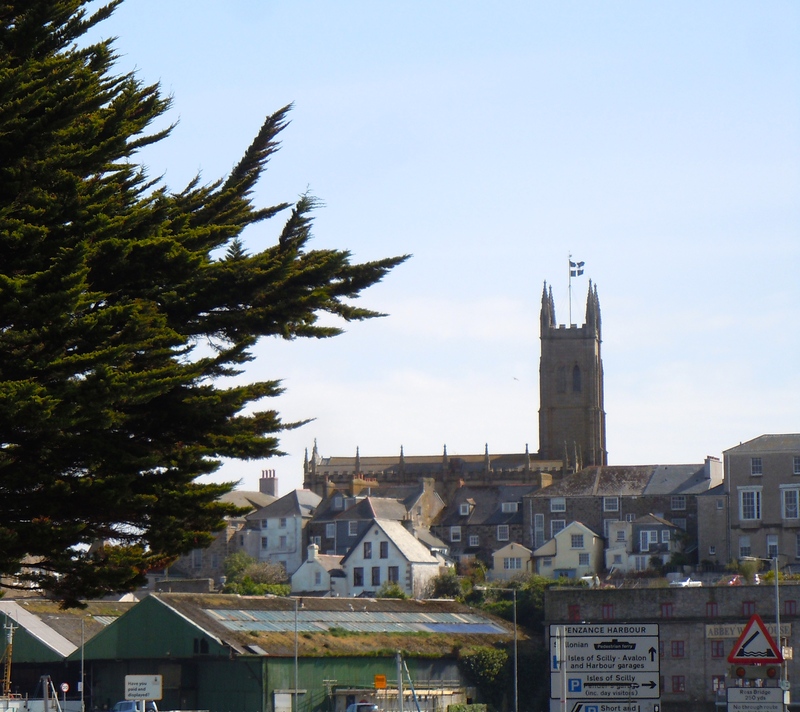 With an easy walk to the bus station, Penzance makes a perfect home base for jaunts to other parts of Cornwall. This entry was posted in Cornwall, England, Paris, Travel and tagged Art, Art Auction, Charity Art Auction, Chunnel, England, English coast, English cooking, EuroStar, First Great Western railway, Food, Historic Chapel Street, Jubilee Pool, Morrab Gardens, Penzance, St. Mary's Church, The Exchange, Turk's Head, UK. What a charming area – and what a wonderful description of your travels. Sounds like you and Mark had a great time. Thanks for ‘taking us along’ on your ongoing adventures! 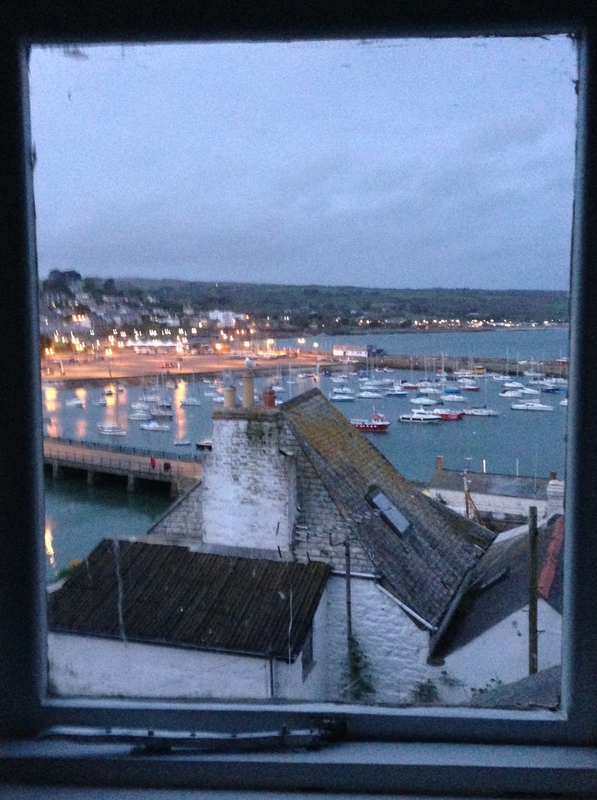 Wish I could have been along to enjoy the lovely England….one of my favorite countries among many.. Love your stories of travel. See you soon.